You cut, drill and saw for hours with the utmost concentration. Eventually, your piece of art is ready and you are happy! But now the question arises: What to do with all the magnificient tools that allowed you to create your art? 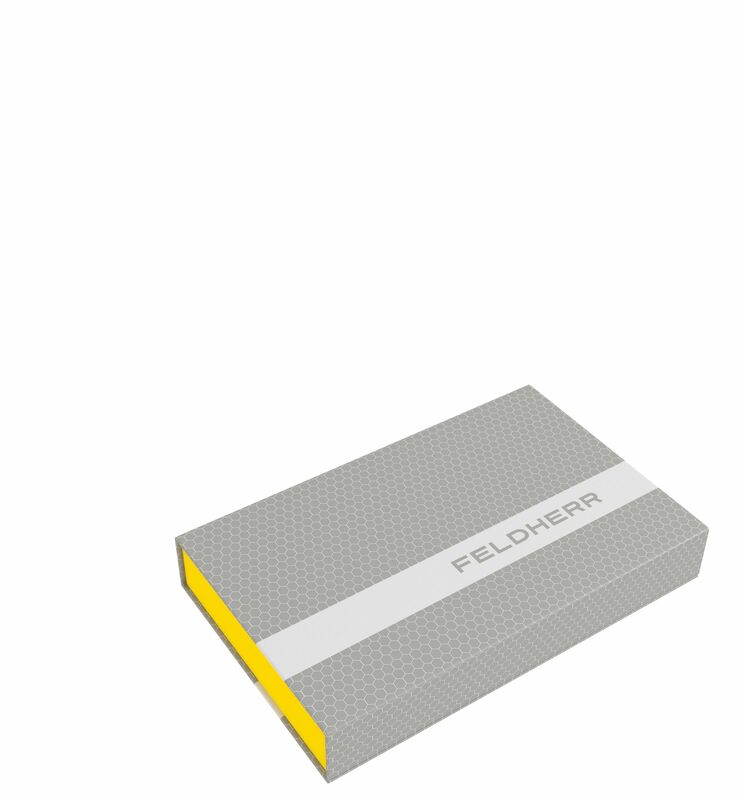 Our Magnetic Box yellow will let you safely store your modelling tools from Games Workshop in an orderly manner. 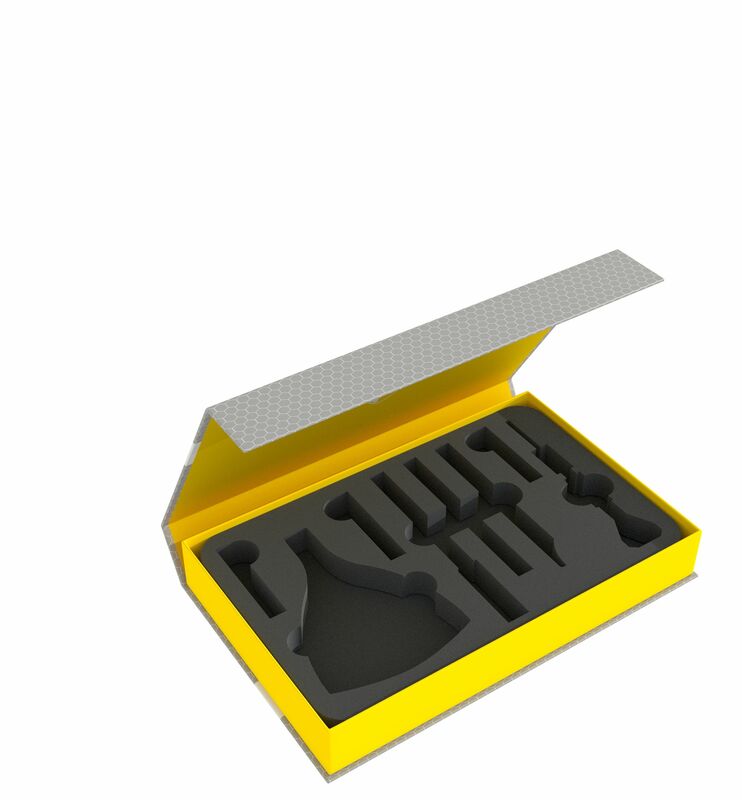 In addition, there is a compartment for storing the boxes with the spare knife blades, the saw blades and the drill bits. The rotary knob of the Citadel Drill is a little (approx. 4 mm) higher than the insert. 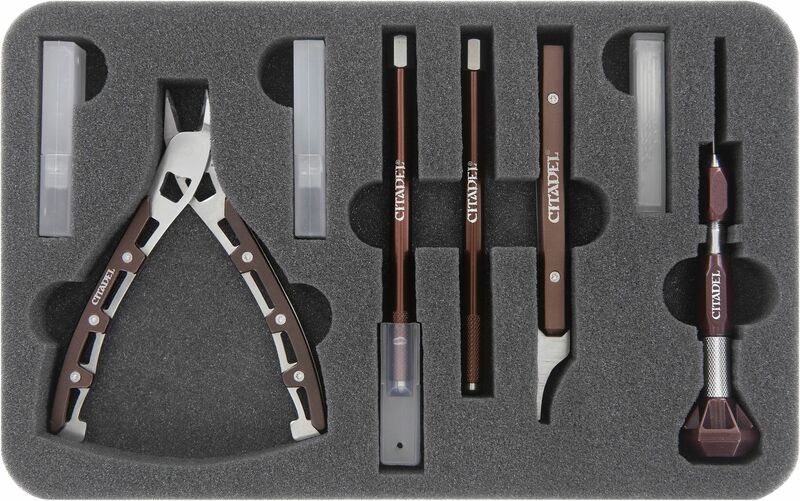 To ensure the best possible all-around protection of your tools, the set includes a matching foam topper. The topper is simply placed on top of the tray to make sure nothing can fall out. Of course, the tray fits exactly into the Magnetic Box. The box consists of coated solid cardboard and is therefore light and handy, but also very stable. The integrated magnets on flap and front allow a seamless and easy closing, so that nothing gets lost even during bumpy transport.